We had a wonderful stay at Dempsey’s during the July holiday. Everything was clean and when the electricity went out because of all the heavy rain the owners put candles in our room so that we did not have to return to a pitch black room [we even had the luxury of using their umbrella- being from the Karoo we did not expect it to rain…so much!] The cherry on top, being a cat lover, was Boots, their big cat!!! Noreht Visagie booked out of Dempseys on 13/07/2011. Place your Dempseys guest review here. 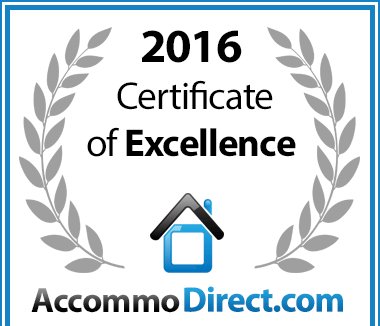 In recognition of exceptional service Dempsey's Guest House in Port Elizabeth CBD, Port Elizabeth is hereby awarded a Certificate of Excellence. Head to “Schotia Safaris” to rekindle your sense of awe. Guest review from: Lindile and Siwe. The Little Optimist heads to PE to inject us with hope and positivity. Guest review from: Chantal and Dwaine Stassen. 15% discount offer from Dempsey’s Guest House. Guest review from J. Mafukati. Guest review from: Eldred Kock. Guest review from Mac and Pippa Houghton. Guest review from: David and Gail Robinson. Guest review from: Bennie Arends. Guest review from: Helene en Marina. SAMREC’s full moon beach walk.